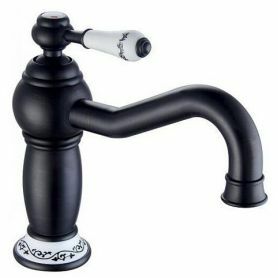 The curves vessel is the most unusual model from the group of countertop sinks. The shape resembles the hull of the boat, which is at the same time elongated and gently rounded. The boat bowl is eye-catching and easy to clean. Dimensions are very practical, provide the convenience of using the sink, and the colorful patterns and shape of the sink will not leave anyone indifferent.